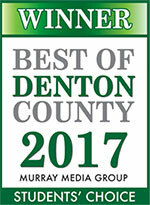 We are located at 306 W. Main Street, (intersection of Milton and Main St.) Come by for your new tattoo, piercing or just to say hello! Check out our F.A.Q.s for information on piercings and tattoos. Check back often for the latest information about A Living Canvas Tattoo! 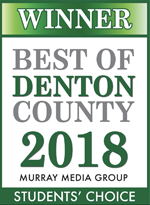 BEST OF DENTON COUNTY 2018 !! WE ARE ALL ABOUT MAKING THE CUSTOMER HAPPY!! Every Monday buy one piercing get the second one for half off!!! Purchase your gift certificates in store to be used for tattoos, piercings, or jewelry! See our Facebook page for pictures and future updates!